Replaces HVAC vents. Holds three 2 5/8" gauges. 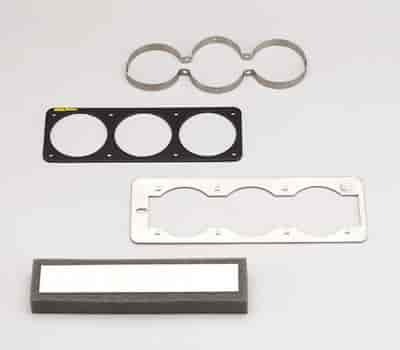 Transform your vehicle's center air vent into a home for your gauges with one of these Gauge Cages from Auto Meter. They are available in dual or triple gauge versions and accept 2-5/8" gauges. Installation is simple, just remove the vent register and place in a Gauge Cage. Along with race-inspired looks, you'll also get plenty of ventilation through the side vents and an excellent view of the gauges while you safely watch the road. Does Auto Meter 50100 fit your vehicle?